Welcome to All-recycling-facts.com, a guide on recycling and recycling facts. But there’s actually more to eco green living than recycling. Eco green living is actually a way of life! That’s why we have expanded our website beyond just recycling. If you are fully convinced of the importance of eco green living and recycling, and wish to do your part, we believe we can provide you with some useful tips. But if you can't see why eco green living and recycling will help, give us a chance to help you understand why. Here, we believe that every bit counts. May you have a meaningful green journey ahead. Eco Green Living and Recycling Facts? Why would I be interested??" Have you ever looked at the newspaper in your home or the amount of documents you print at work, and think about how much paper is being used everyday, in your country, in the world? Have you ever noticed how much rubbish you (alone) create in a day, and then imagined how much rubbish the world’s population produces in a single day? Or have you ever wondered what happens to all the Styrofoam packaging used for our lunchboxes, coffee cups and electronics packaging, and what impact they have on our environment and health? If your answer to these questions is no, maybe it is time you gave it more thought. Because ultimately, like it or not, we are at the receiving end of what we do to Mother Earth. If we pollute our planet, it is WE who will have to live our lives ahead within that polluted environment. If we deplete the resources on our planet, it is WE who will have to live our lives ahead without these precious resources. So whether you are doing it for yourself or our future generations, out of a sense of self-love, a sense of responsibility or simply out of love for nature, it is important for every one of us to understand the impact of our human activities on Mother Earth. We need to do something! If we do not do our part now to protect the earth from harm and conserve the world’s resources, our valuable resources would be depleted one day, and there could be so much rubbish and pollution that Earth would not be livable anymore, if not totally destroyed. Really, there is not much future to talk about, if the very planet that supports our survival is in a devastated state. And that’s where this site comes in. All Recycling Facts.com helps you understand the ways in which you can lead a greener life, help conserve the world’s resources and reduce the amount of waste and pollution you create. Everyone has a part to play! Start now! I strongly believe that no matter how small you start, or how insignificant you think your efforts are, you will make a difference. Whether you are a student spreading the message about the importance of eco green living and recycling, or a home-maker deciding on what to buy for your home or how to dispose of your unwanted furniture, you can make a difference. Similarly, regardless of whether you are an executive deciding on what to do with your old computer, or an MNC director deciding on what to operate your factories world-wide, your actions will have an impact! Initially I started this website with a focus on recycling facts, but as I learnt more about recycling, I realized that there’s more we need to do than just recycling. We need to live a greener life if we are to ensure the survival of our earth and ourselves! So let’s do our part now, and start living a greener life and recycling. A green and recycling planet is for each one of us, and must begin with each one of us. If you are new to the idea of eco green living and recycling, let me help you learn recycling facts about the benefits of going green and why recycling is important. Through this website, I will also share with you about what going green means and what you can recycle. Here, you can also pick up going green tips and useful recycling facts, and find out how you can play a part, through very simple ways! And, if you are one of those who already recognize the importance of recycling and eco green living, but want to find out more on how you can contribute, we hope to provide you with insights through other green living ideas and recycling facts, what others are doing in this area, and what else you can do! We also hope to provide you with a platform to share with others about your experiences and recycling facts you picked up along the way, so that they might learn from you, and maybe even be inspired to follow in your footsteps! And of course, recycling facts and eco green living are not just about the serious stuff. Here, you can also find recycling projects that can keep you and your little ones at home happily occupied for many hours. Learn about what is recycling, the recycling process and the factors crucial to its success. Learn why is recycling important – to the environment and economy, as well as the political and ethical importance of recycling. Check out these interesting recycling facts – including general recycling statistics and facts, recycling symbols, history of recycling, and facts about recycling specific materials. Learn about recycling tips – find out how you can start, what you can recycle, as well as tips for recycling at home, for birthday parties, at the office and even on holiday. Learn about how to make money recycling through recycling jobs, starting your own recycling business, and simply selling your recyclables. Find out what is Eco Green Living and why it is important. Also, learn tips on living a green lifestyle at home, at work and on holidays. Find out what are eco-friendly products, why we need to use them, and how to identify them. Learn about energy efficiency tips, including the use of energy conservation products and energy saving building designs. Learn about green gardening – the green steps to take when starting a garden. 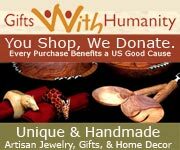 Learn about eco cool gift ideas – unique holiday gifts for all occasions, for all loved ones, accompanied with love for the planet. Find out what green technology is about and why it is important. Learn about the alternative forms of energy, including solar energy, wind and geothermal energy, hydroelectricity and others. Learn about the green events taking place in the world today – their origins, purpose and significance. Find out about the definition of climate change and how recycling can help fight global climate change. Learn about facts on global warming – the causes, effects, the global warming controversy, and ways to stop global warming. Learn about the main types of pollution, the causes of pollution, the effects, the ways to stop pollution and other facts about pollution. Learn from Professor Nils Nykvist as he shared on how Man has brought about the degradation of land, as well what we can do to stop further damage. Here, you can find links to other green living websites, and obtain further resources on living a green life and recycling. Find out more about us at All-recycling-facts.com, and how we hope to help you make a difference through recycling, fighting climate change, and eco green living.